Looking Better every day! !� � I Hope there's a IP. Righteous set of toolbar icons. Cool set Mr Brainiac! Excellent! Is there a trick to getting these to work, I've tried everything I know how to do and they still don't show up on my explorer toolbar? 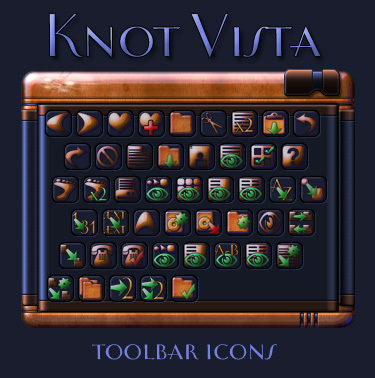 I have all the rest of Knot Vista up and running except these. Would appreciate any help.